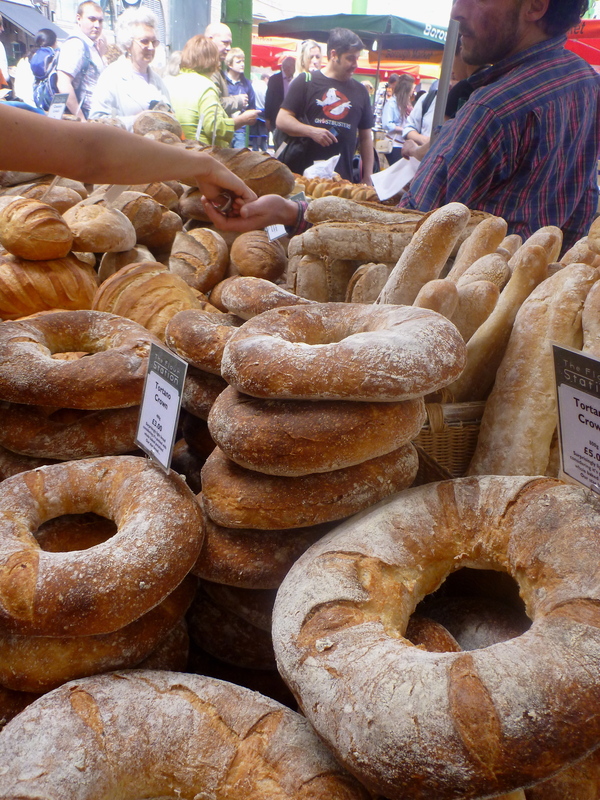 Ventured in to the famous Borough Markets on the weekend. 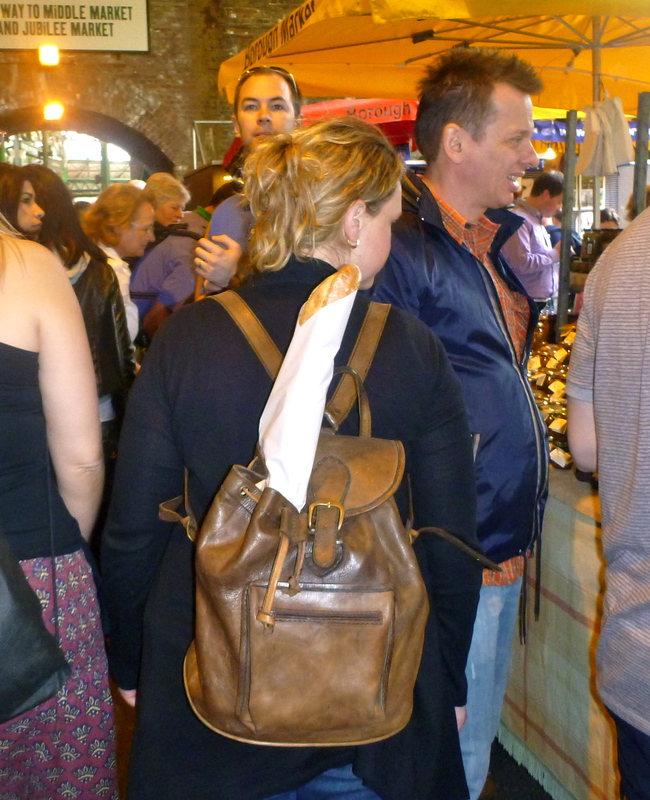 There were stalls and stalls of deliciousness on offer…. We spotted a German Hotdog stand and a cheesecake stall as we came into the main hall and promised to come back around to buy a hotdog for lunch and take some cheesecake home for dessert. On our travels we bought a baguette and some sweet little ball-shaped things from a French Bakery stall that tasted great, even though I’m really not sure what they were. 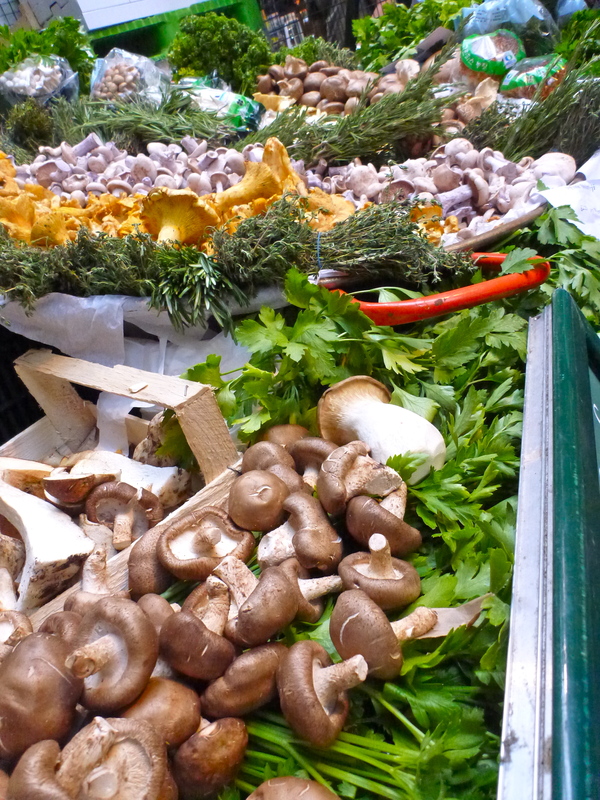 I bought some mushroom pate from a pair of young lads selling their vegetarian alternative to the liver recipe. 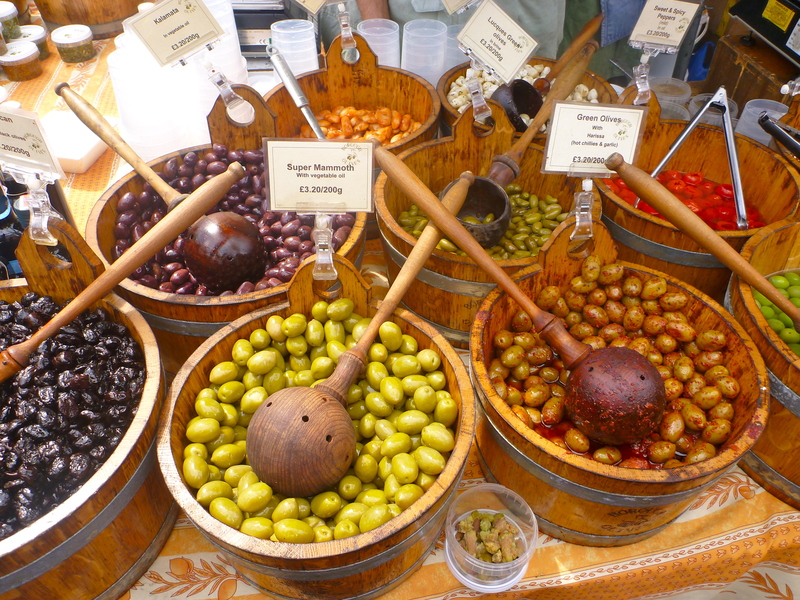 We sampled some olives, truffle infused olive oil, donut holes and various kinds of preserves. Why are there always so many preserves at markets? As promised we made our way back to the hot dog stand, by-passing a felafel stall we had our eye on. I decided against the cheesecake. I’ll be parading around in my bathing suit on the beach in Croatia in a few weeks and my thighs really don’t need cheesecake right now. Turns out the hotdogs were not that great and I was hungry half an hour later. Should’ve had the felafel. Now next time you go, you have to visit the raclette stand – delicious cheese, a specialty of mountain climates like the alps so my family tells me. At Borough they make amazing cheese sandwiches and a raclette plate with potatoes and cornichons, covered in melted raclette. The strip it off great big hunks of cheese that melt slowly over heat, definitely not a good idea for your thighs though.